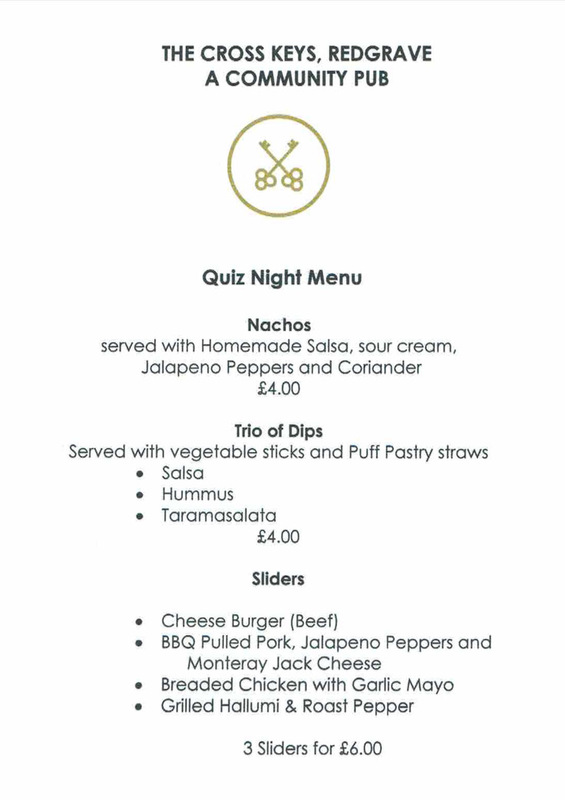 There are still a few tables available at 6pm so please make your reservation promptly to avoid disappointment. 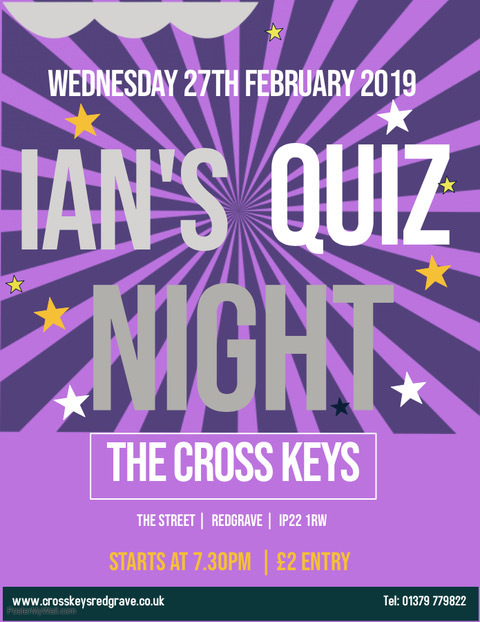 Happy Days at the Keys have got off to a great start. The new £3 initiative was masterminded by Karen Jacob and has caused quite a stir. 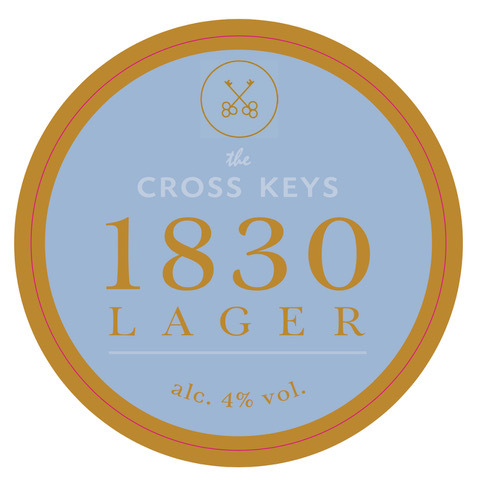 Come in to take advantage of the new lower prices on selected beers and wines, and don’t forget to try the Cross Keys own-branded new lager ‘1830’. Hope to see you there 7:00 – 10:00 pm. All events now listed on the Events page of this website with an easy to navigate calendar. I volunteer in The Cross Keys on a Friday lunchtime. I prefer being in the restaurant but I have reached my sixties without ever pulling a pint in my life and now getting an reasonable head on a pint of beer, even Guinness!! I have made new friends and love the reaction we get from customers when they learn we are volunteers, even when I tip their lunch onto their lap (only kidding😂).